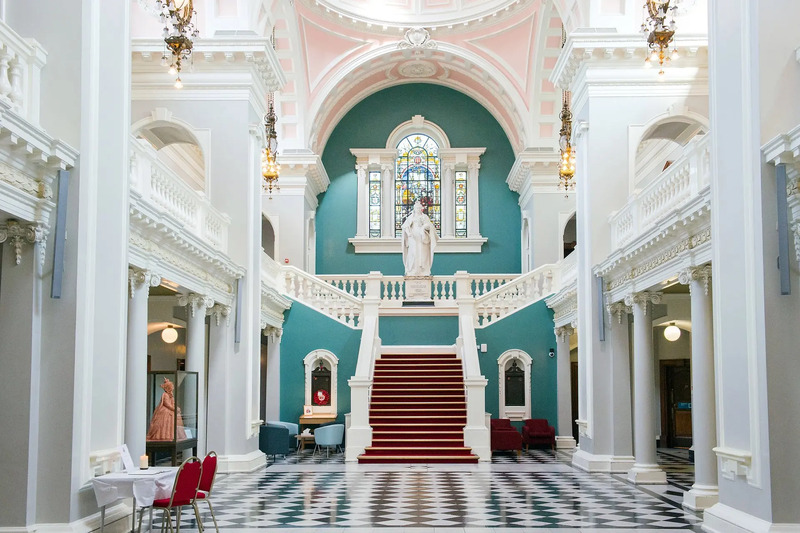 Greenwich wedding photographer Woolwich Town Hall – one of my favourite places to take wedding photographs. 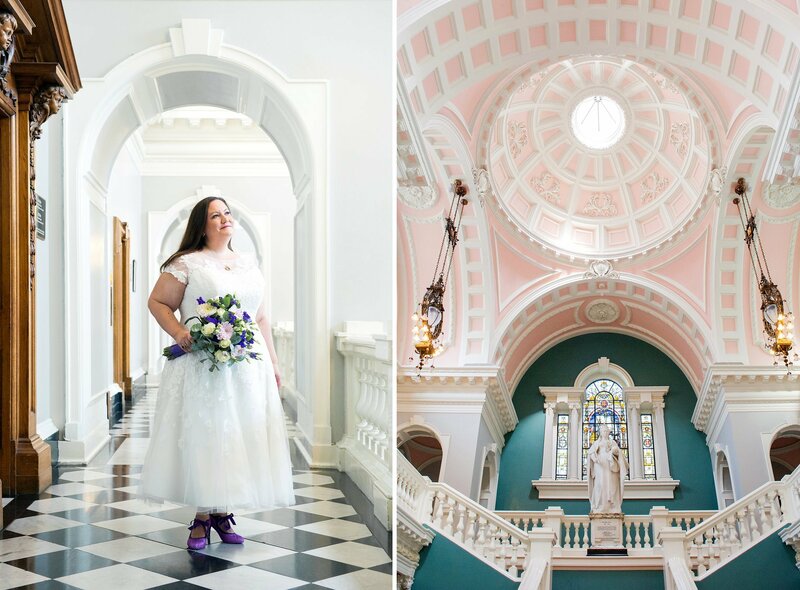 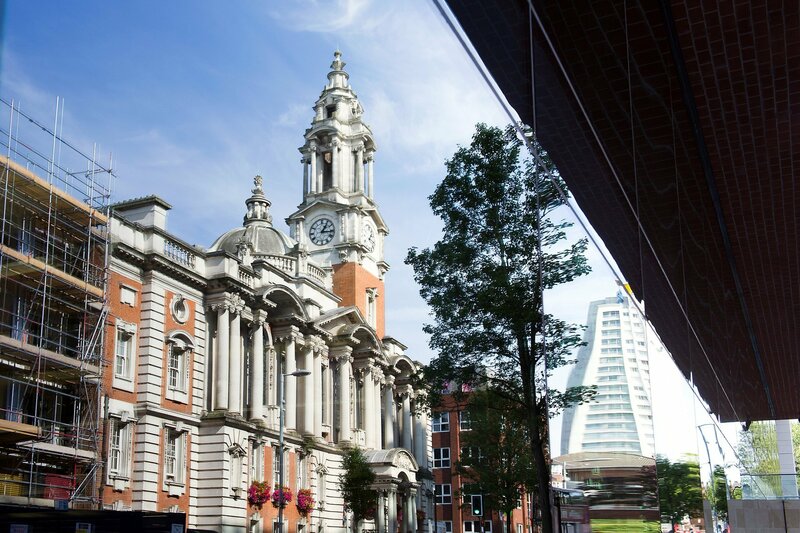 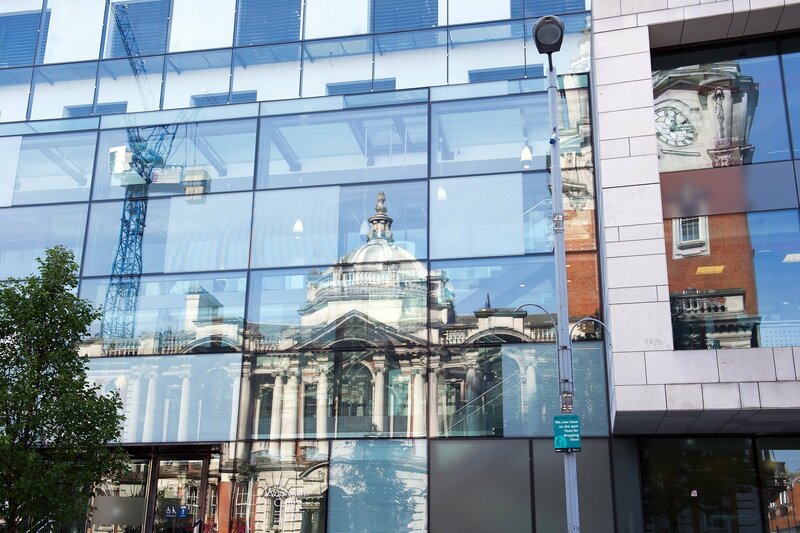 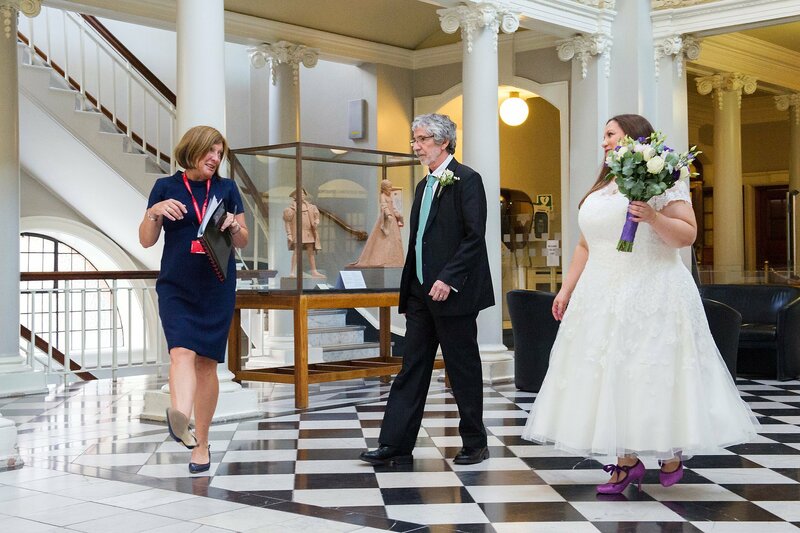 Jen and Kieran chose the stunning Greenwich Register Office based inside Woolwich Town Hall and married in the Edwardian ceremony room. 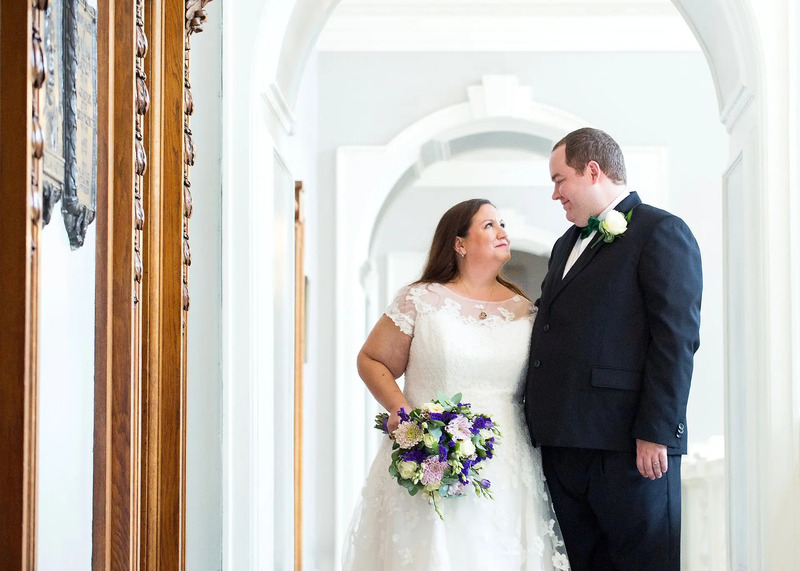 The main Victoria Hall is a breathtaking entrance and was much appreciated by Kieran’s guests from Yorkshire and Jen’s family from the US. 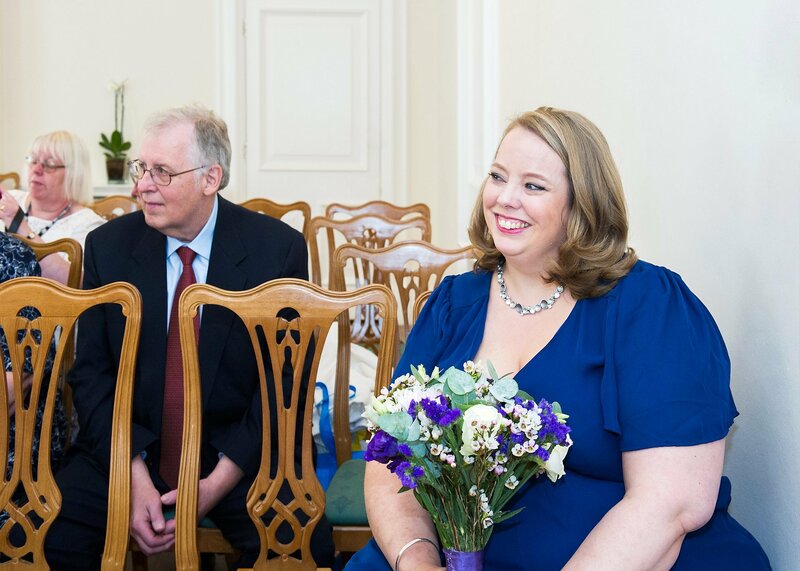 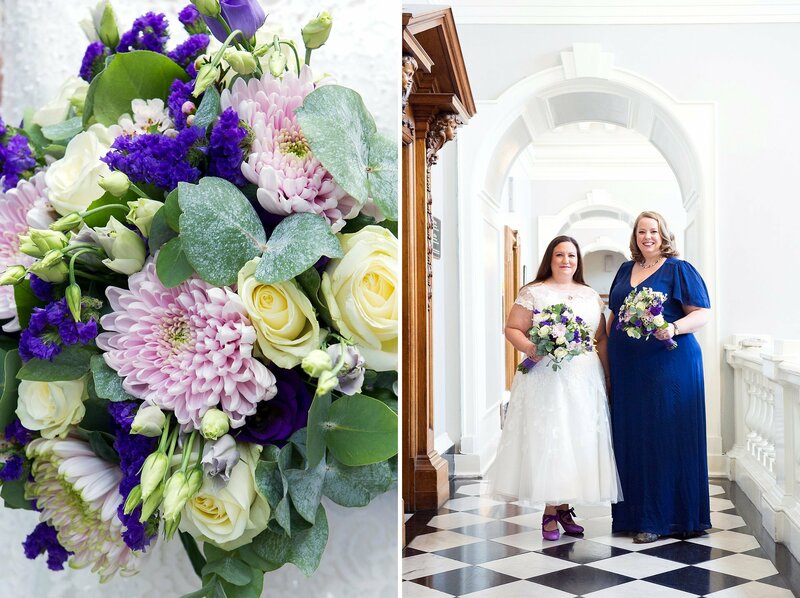 It was an intimate ceremony with ten guests and a blue, green, purple and lilac colour scheme which worked well with the colours in the Victoria Hall. 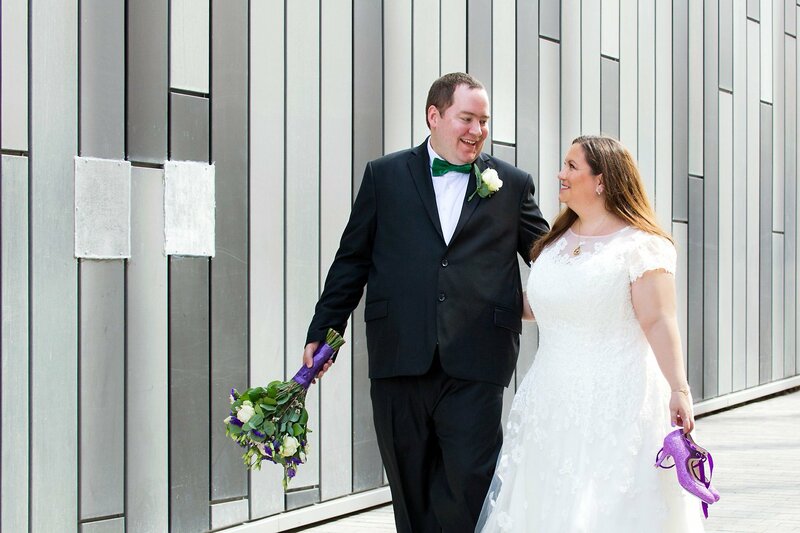 Jen wore a calf length, full skirted 50s inspired dress, delicately embroidered, with pretty lace sleeves. 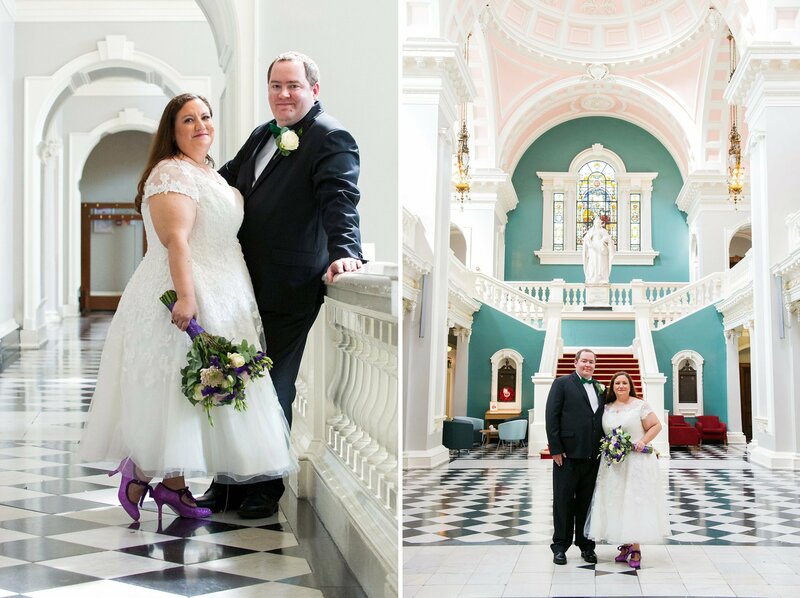 She wore sparkly purple shoes tied with a purple ribbon. 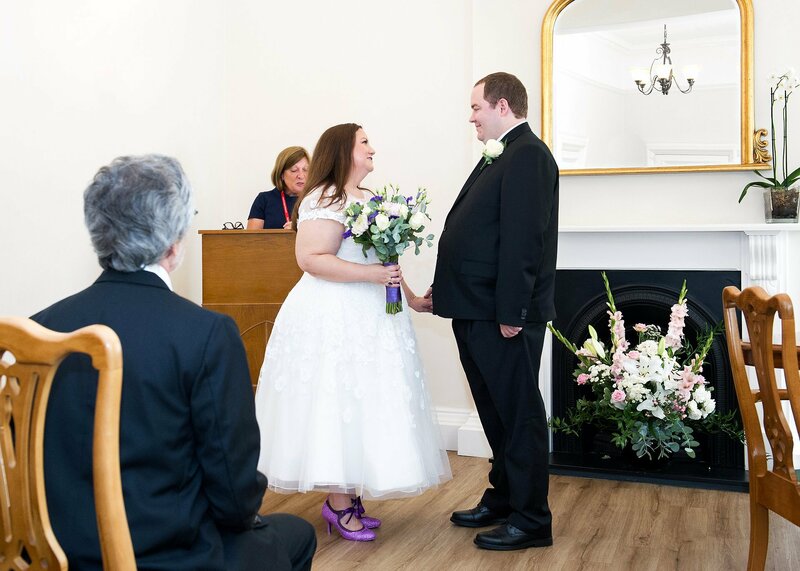 Her flowers were a soft mix of purple, pale pink, cream and green. 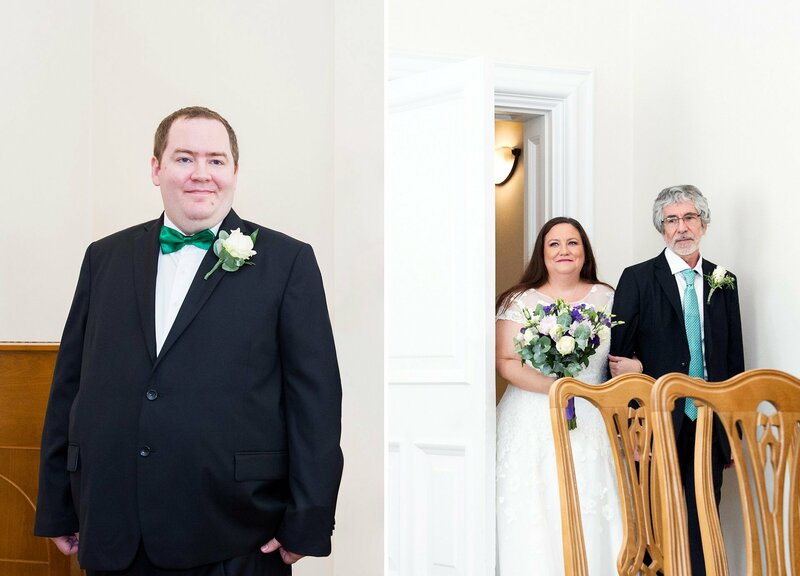 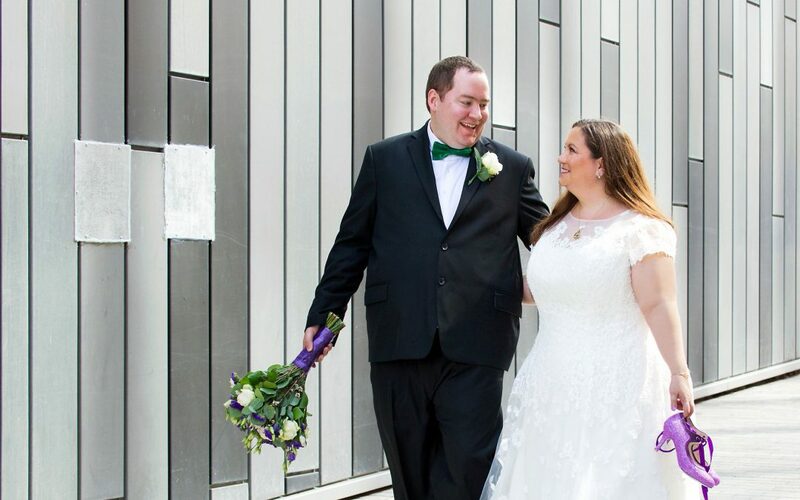 Kieran wore a charcoal two-piece suit, green bow tie and a cream rose buttonhole. 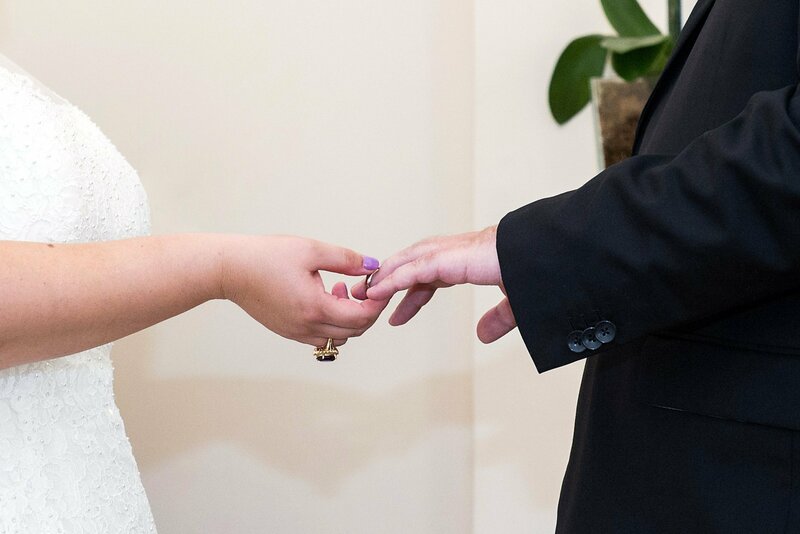 Just before Jen walked into the ceremony her father, Mike, looked at her and said, ‘I’m not sure that I really want to give you away…’ A very touching moment. 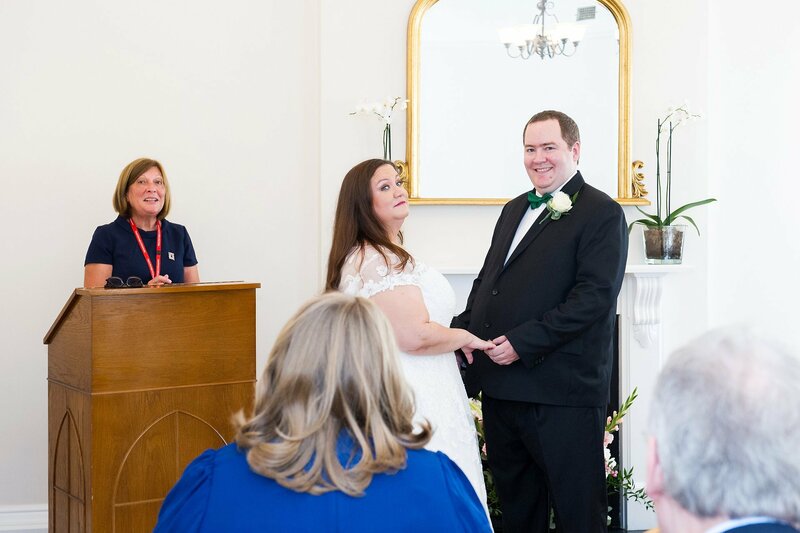 When the Registrar from the Royal Borough of Greenwich asked if there was anyone present who knew of a reason why Jen and Kieran couldn’t marry Jen’s face was classic. 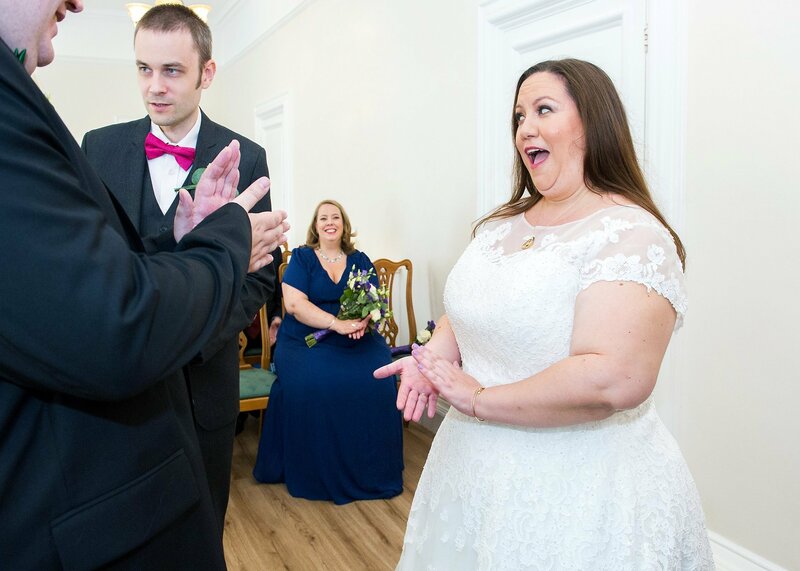 Everyone laughed in a ceremony full of laughter and smiles. 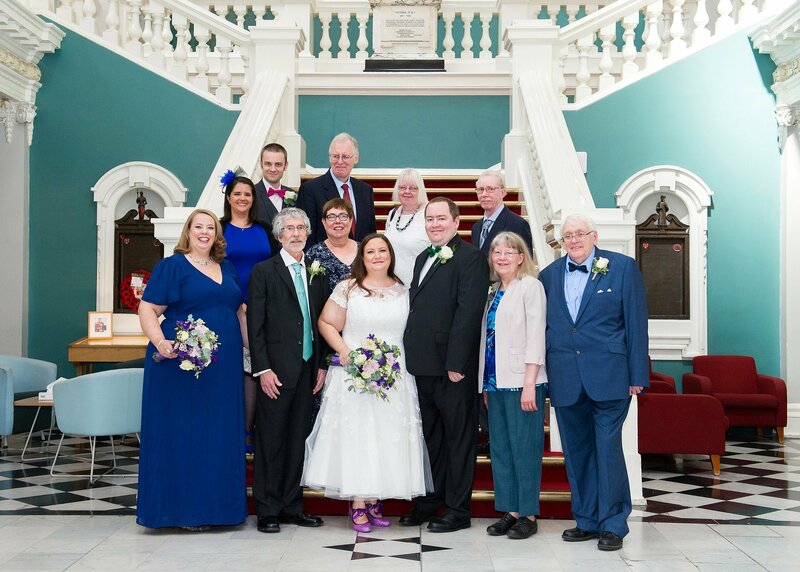 The staircase in Victoria Hall works very well for group photography. 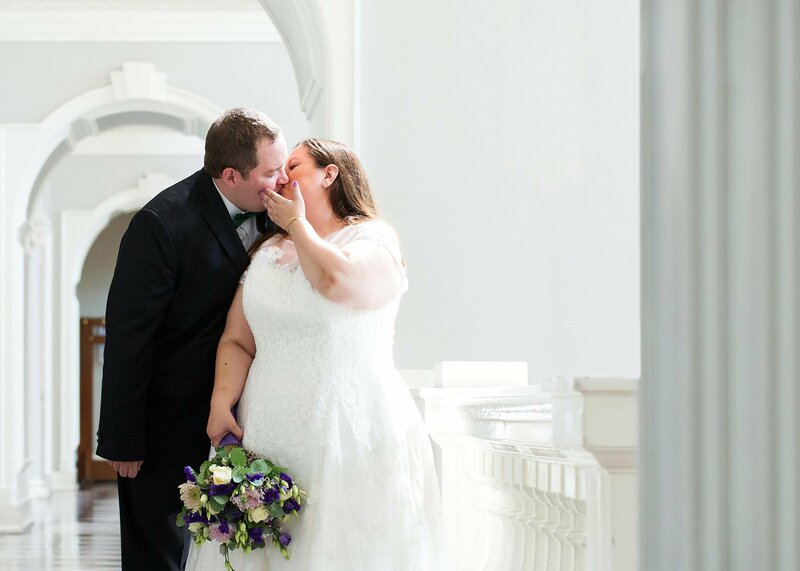 And the overall light and architectural details are great for couple photographs. 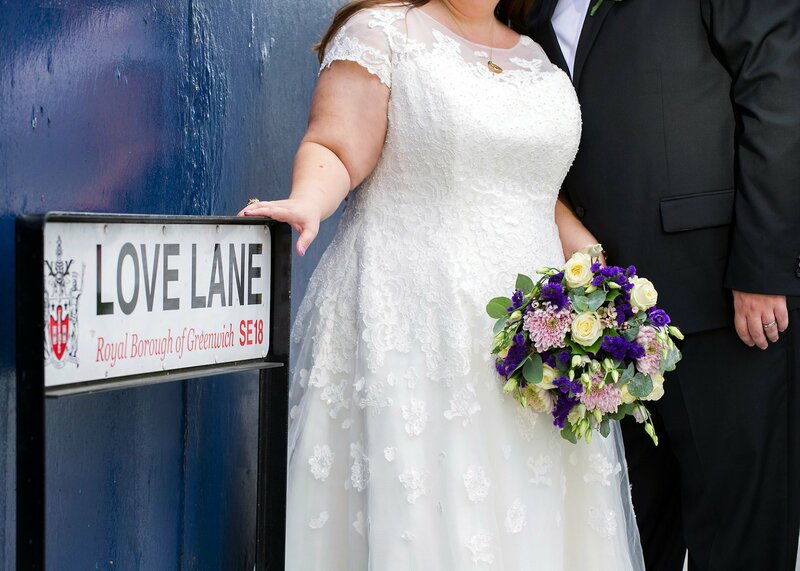 I took a few photographs at the nearby ‘Love Lane’ signpost and behind the Woolwich Centre before they left for lunch at Davy’s Wine Vaults in Greenwich Town Centre. 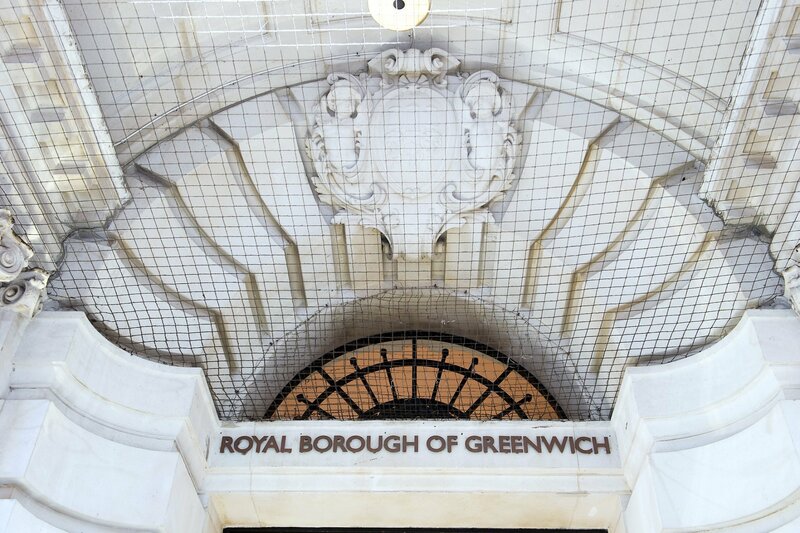 I am a Greenwich wedding photographer and offer one, two or three hour coverage in and around Woolwich Town Hall (home of Greenwich Register Office). 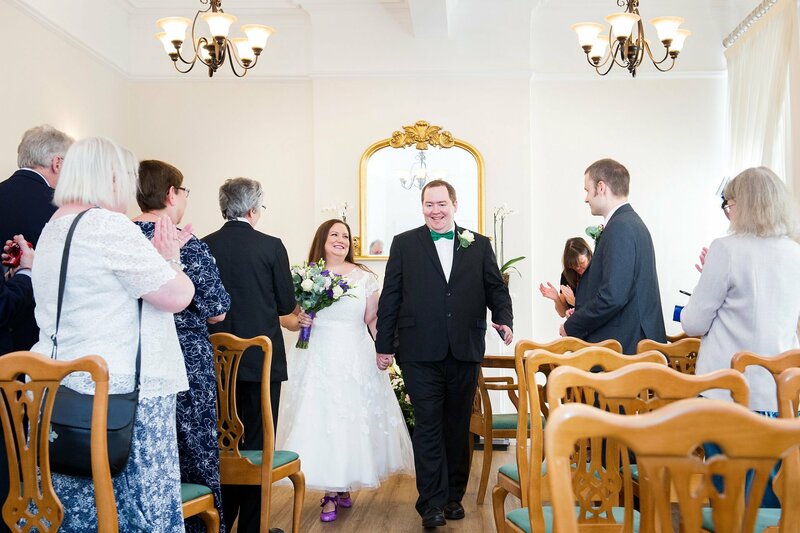 If you are having a small, intimate wedding or elopement and need a photographer please do have a look at my Greenwich page.